August | 2014 | Arthur in the Garden. The nights have cooled considerably. The day temps barely reach 80f and the nights have been as low as the mid-60s. Of course, we typically can have a heat wave as late as November! More autumn bloomers are also signaling a change is around the corner! 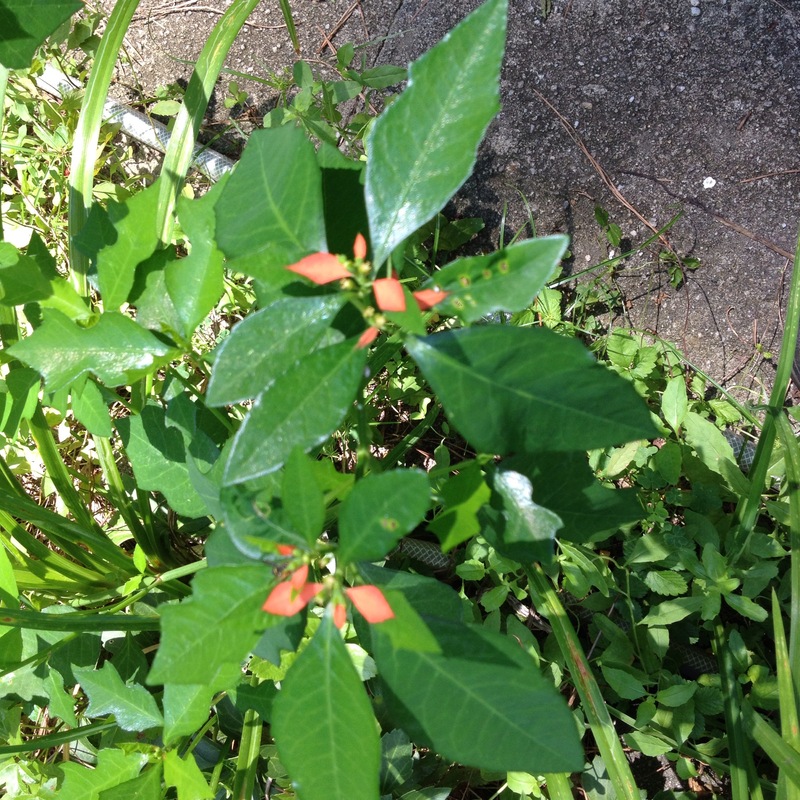 Annual poinsettia – a great reseeder! 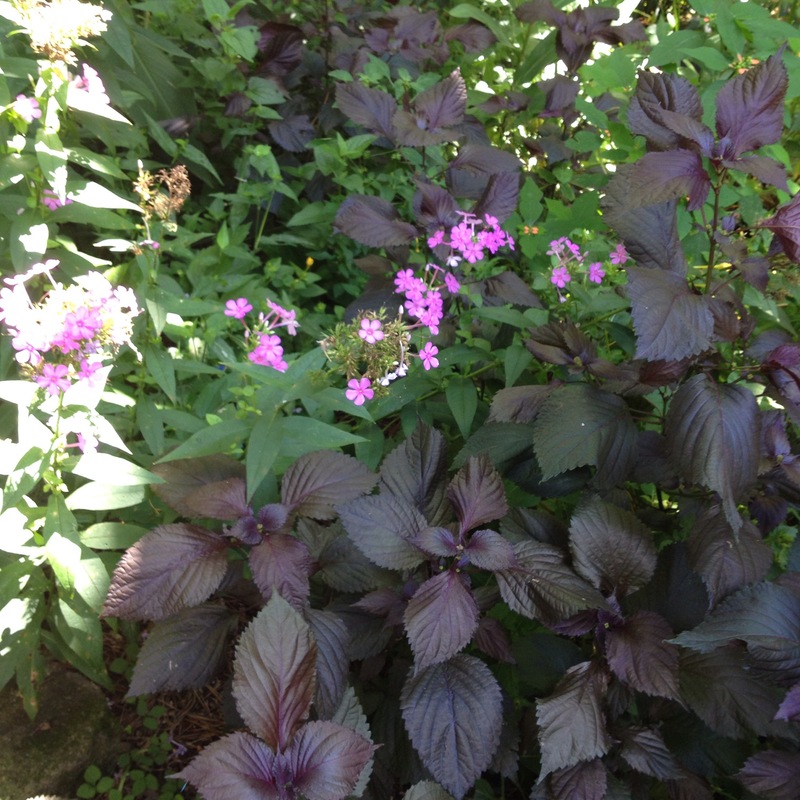 And shiso (perilla) with woodland phlox- a great burgundy accent! Also, the garden spiders are hard at work- although, out of focus! 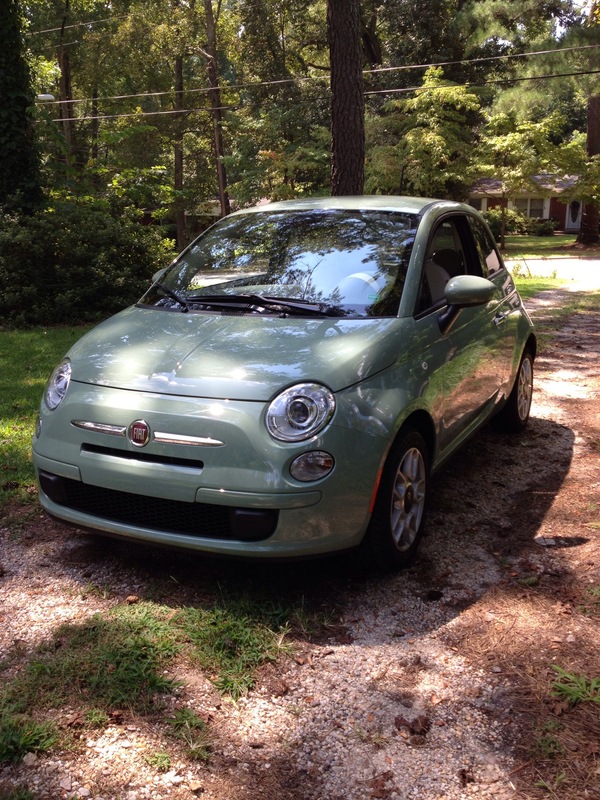 And a change in my mode of transportation! How retro? And in what looks like that 60s avocado green! 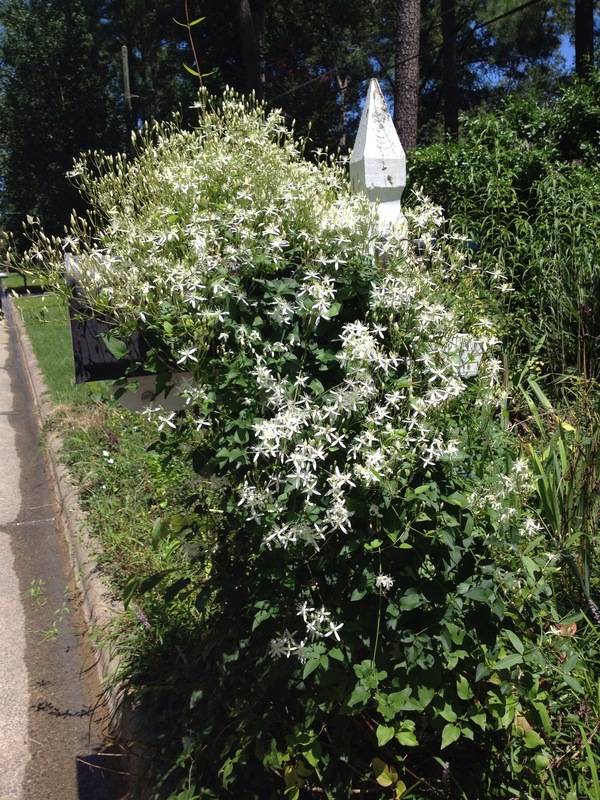 The Autumn Clematis are beginning to bloom. They are so fragrant and bloom heavily such they look like snow! The fragrant is so strong that the scent drifts up to 20 feet with a breeze! After the blooms, fluffy seed heads form which can last all winter. 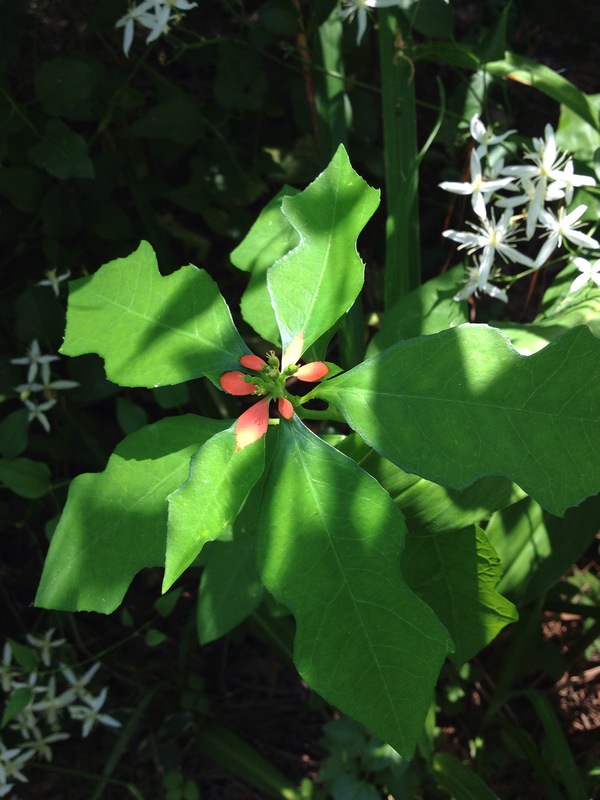 They can be weedy as the seeds readily germinate all over the garden. 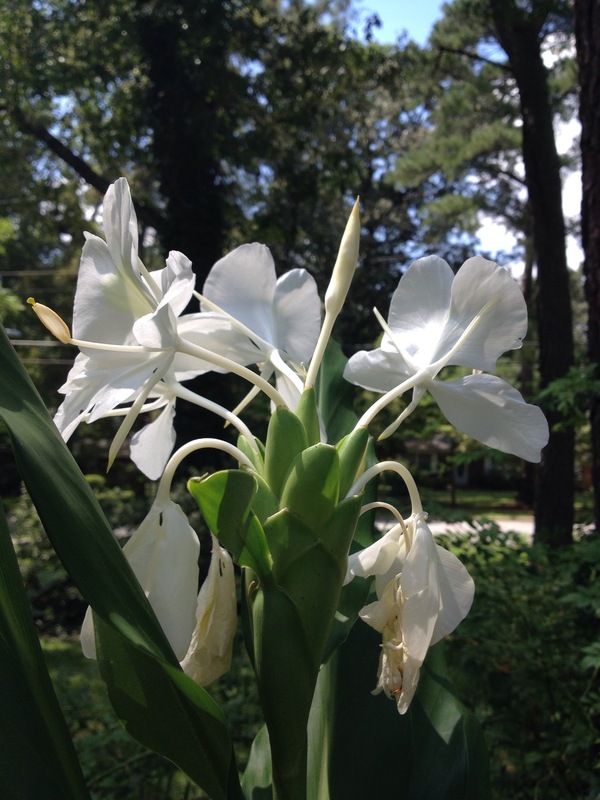 Hurricane Lilies are the first sign of Fall. 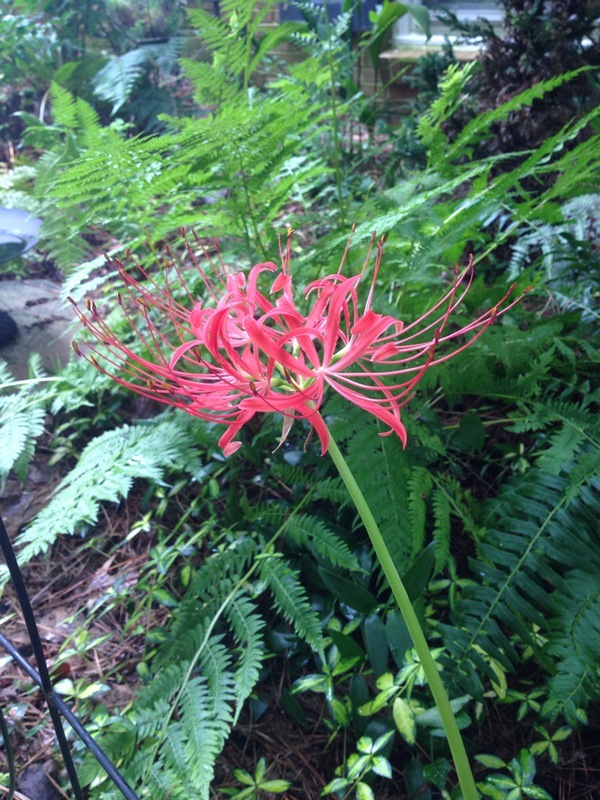 Lycoris are also called Surprise Lilies because their flowers seem to pop up overnight! The leaves come up in the Fall, survive through Spring than die in early Summer, and in August the flowers pop up! There are several species and hybrids which range from red, to yellow, to pink, and a few with shades between, along with white. 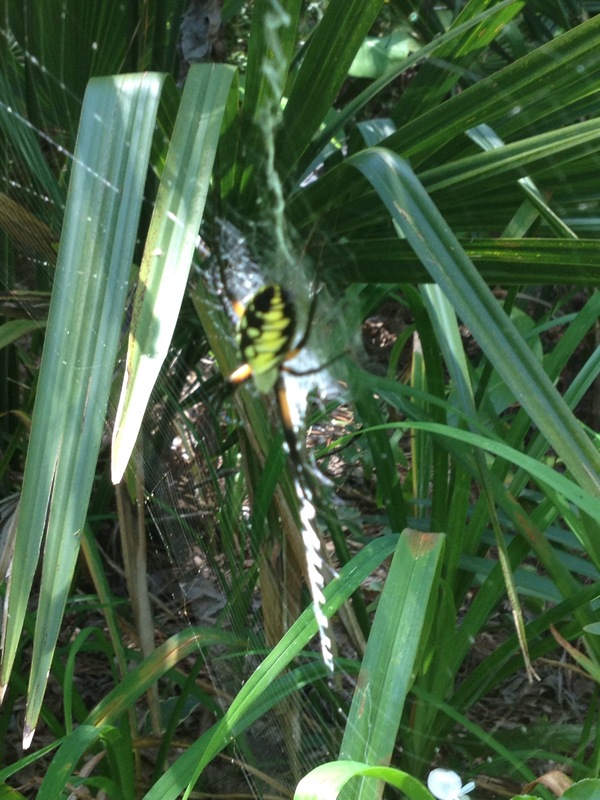 They seem to be everywhere in gardens along the coast of North Carolina. 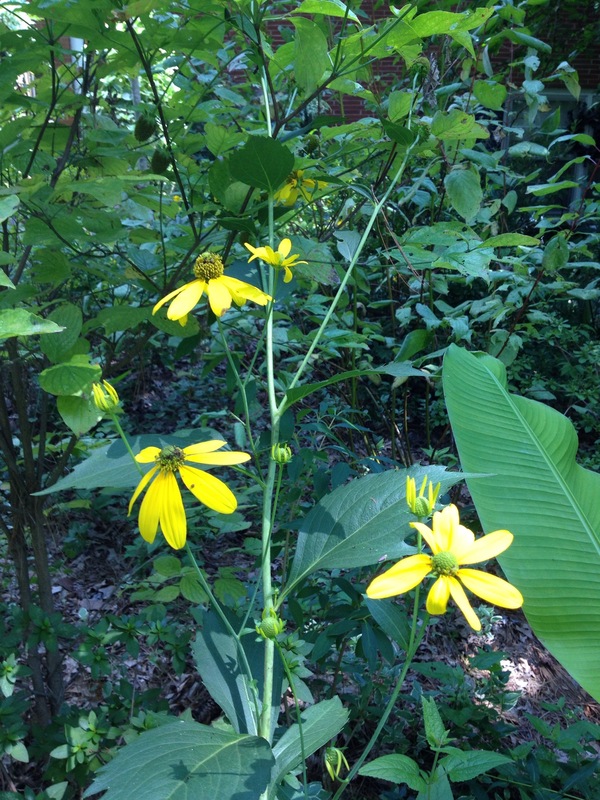 I have had difficulty getting them established in my garden here in the Piedmont. 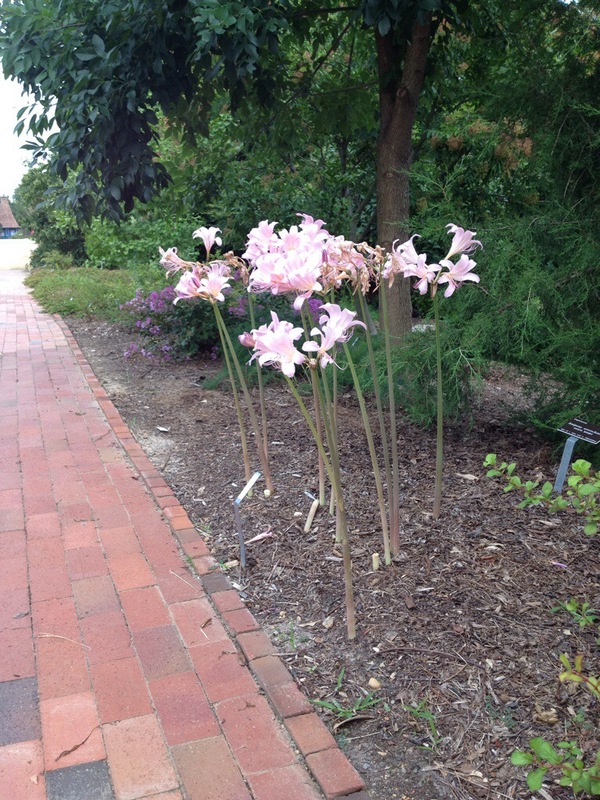 I will continue to any a few bulbs every year in the hope I will some day have a grand colony here in Raleigh!